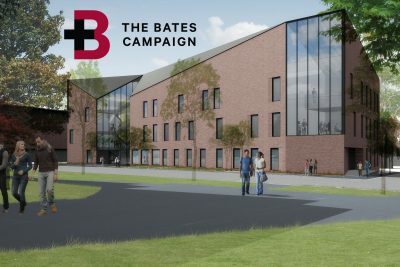 The public launch of The Bates Campaign and the surprise announcement of the $50 million gift from Michael ’80 and Alison Grott Bonney ’80 on May 16 garnered national media coverage. 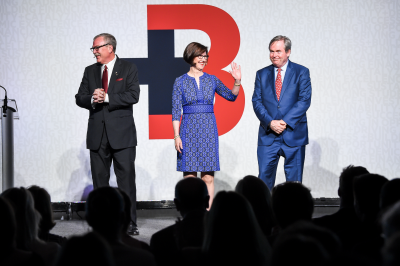 The Associated Press story, “Family gives record-setting donation to liberal arts college,” was picked up by many media outlets including ABC News, CNBC, Fox Business, Yahoo! Finance, The New York Times, The Washington Post, Seattle Times, Houston Chronicle, The Roanoke Times, The Washington Times, and US News & World Report. In addition, original news stories appeared in The Boston Globe, Portland Press Herald, and the Lewiston Sun Journal. 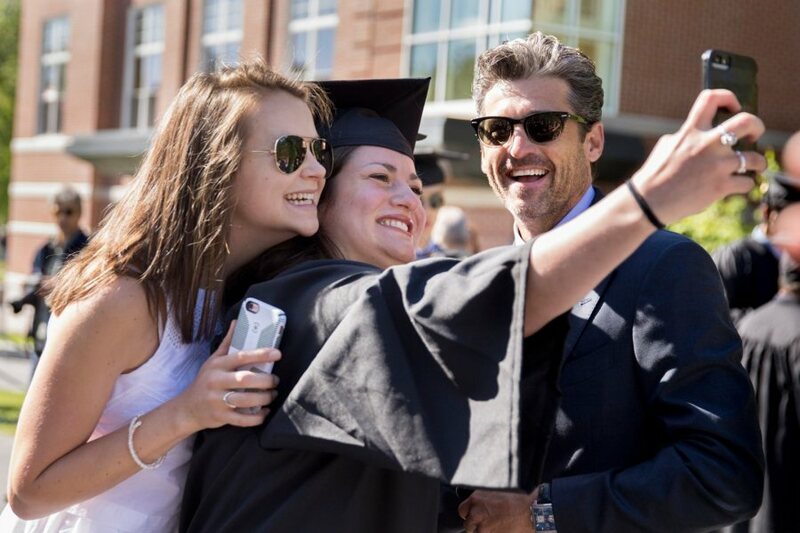 Actor, philanthropist, and Lewiston native Patrick Dempsey, at Bates to receive an honorary Doctor of Humane Letters degree last Sunday, caught the media’s attention, including that of Boston Globe reporter Mark Shanahan ’87, who writes the paper’s Names column. “It was a homecoming of sorts for Dempsey,” wrote Shanahan. 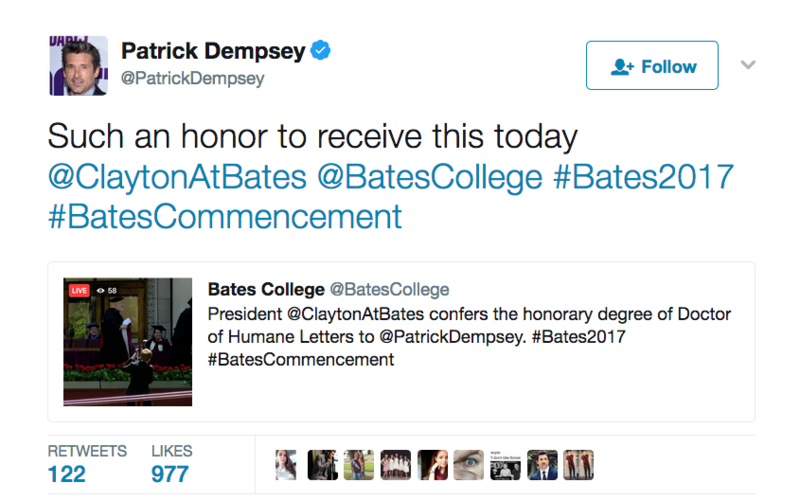 Bates honored Dempsey for his efforts to create the Dempsey Center in Lewiston. In partnership with Central Maine Medical Center, the center provides education, wellness services, and other forms of support to anyone affected by cancer. USA Today also reported Dempsey’s honor, and quoted Cara Starnbach ’19 of Needham, Mass., who talked about Dempsey’s involvement with the annual Dempsey Challenge fundraiser each October. “He always stays involved on an annual basis, and his successes are something celebrated in Lewiston,” said Starnbach. 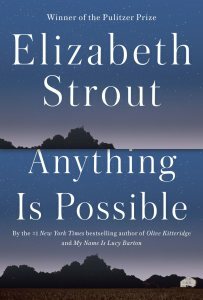 Myriad news outlets have glowingly reviewed Elizabeth Strout’s new novel, Anything Is Possible. 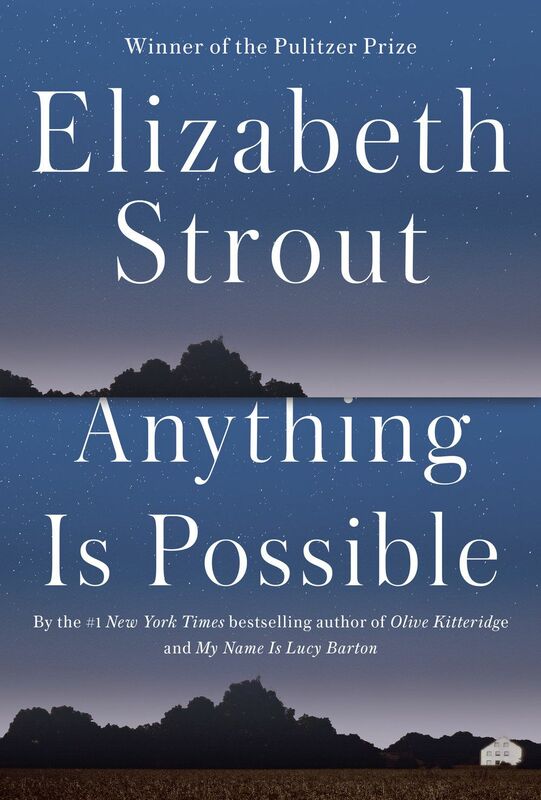 Her Pulitzer Prize-winning Olive Kitteridge mined the depths of regret, “of the pain that comes from knowing that many things, even most things, are not in fact possible,” the Globe notes. The Radio Taiwan International program Eye on China interviewed Bates economist Margaret Maurer-Fazio about her study on how attractiveness influences people’s chances for job interviews. In China, job candidates must include photographs with job applications, which, of course, is “a fundamental difference” from U.S. practices, notes Maurer-Fazio, the Betty Doran Stangle Professor of Applied Economics at Bates. Maurer-Fazio collected stock photo portraits, tested them for attractiveness with Chinese audiences, and then worked with the Bates Imaging Center to digitally alter some, making them less attractive. The photos were paired with mock resumes and submitted to thousands of job openings in China. The result? “Overall, an unattractive applicant had to put in about a third more applications to get the same number of callbacks,” Maurer-Fazio says. 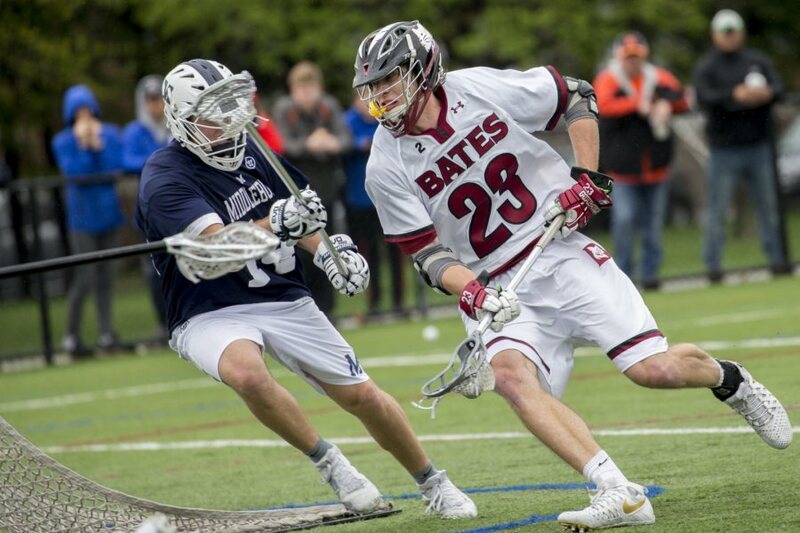 On May 28, the day he graduated from Bates, men’s lacrosse standout Charlie Fay of Falmouth, Maine, was drafted by the Boston Cannons of Major League Lacrosse. Fay was the fifth selection made by the Cannons and the 59th pick overall, making him Bates’ first lacrosse player to be drafted by an MLL team, reported WCSH-TV and other media outlets. On Tuesday, the Bates Bobcast featured an interview with the Cannons’ head coach about Fay’s selection. The James Beard Award represents “coveted recognition that chefs consider to be the Oscars of the food world,” says Press Herald staff writer Dennis Hoey. 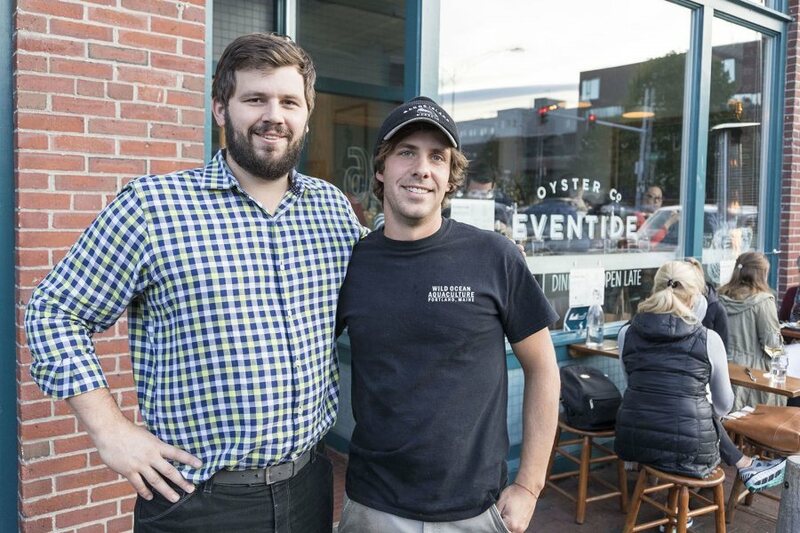 Along with manager Arlin Smith, Mike Wiley and Andrew Taylor co-own three Portland restaurants, Eventide Oyster Co., The Honey Paw and Hugo’s. They won their award in the Northeast category. Sports agent Sam Duvall, who formed Topnotch Management in 2016 after he left Lagardère Tennis, where he was a vice president, wants to enter the golf tourism space, writes Kevin Kleps for Crains’s Cleveland. Grand Slam, Duvall tells Kleps, has tennis tourism “down to a science.” Now Topnotch wants to do the same with golf, as “Duvall believes golf tourism is more of an untapped market,” writes Kleps.